One of my favorite things about summer’s abundance is making up for our fruit-starved winters with fruit overload. Though Nantucket doesn’t have the same local variety that comes with pick-your-own orchards over every hill as in the Hudson Valley, we still make the most of summer fruits eating them every way imaginable. Fruit syrup is a welcome warm-weather change from our beloved (but not exactly cheap) grade A maple syrup. 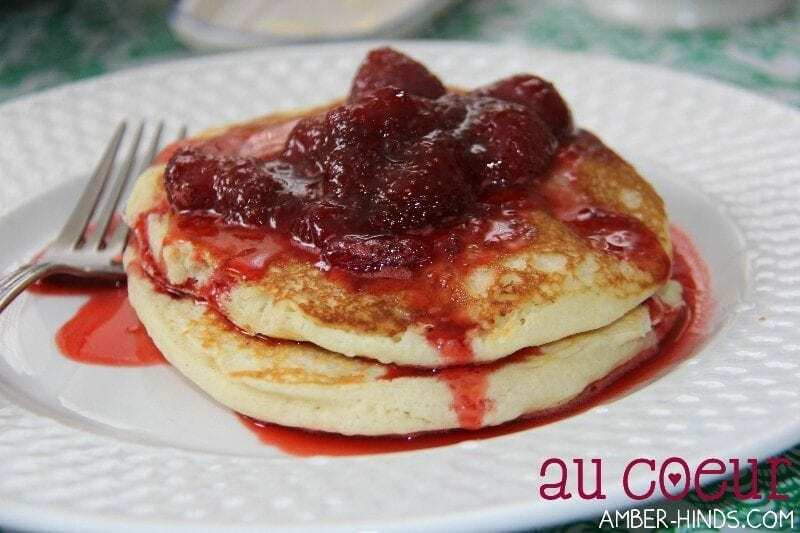 And I’ll often whip up a batch along side our morning pancakes, waffles, or french toast. This recipe is not just for strawberries; it works well with nearly any summer berry or stone-fruit. Unlike store-bought fruit syrups, which are often laced with artificial sweeteners and colors, this is meant to showcase the fruit’s natural flavors and beauty. Thus, it is lighter on the sugar and the berries are left whole or lightly mashed rather than pureed. If you like a sweeter or thicker sauce, you may want to increase the sugar or puree and reduce it. Stir strawberries, sugar and lemon juice in heavy medium saucepan over medium heat until sugar dissolves. Light mash berries, leaving some whole. Bring to boil, then reduce heat and simmer 5 minutes, or longer if a thicker sauce is desired. Generously ladle warm over pancakes, waffles, french toast or ice cream.